If you're shopping for Business Intelligence software, you've probably already run a search on Google and identified a long list of vendors who all claim to be "the leading solution" in the market. 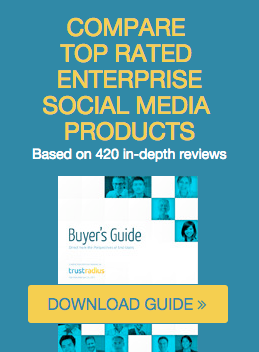 But how do you decide which vendors you should really consider and compare? 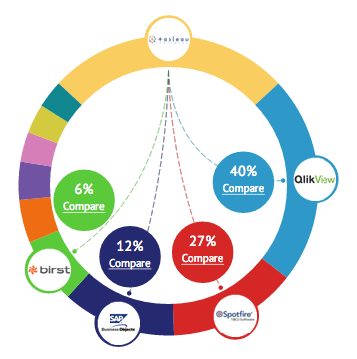 Based upon 42,645 page views of reviews and comparisons across 41 products in the Business Intelligence category on TrustRadius during Q4 2013, the Ring provides a unique perspective on which BI software products are most commonly evaluated and compared by other software buyers. The Business Intelligence Ring helps you arrive at a short list and evaluate solutions side-by-side on key dimensions, so that you can make a better, faster, more confident decision. So what does the Ring tell you and how you can leverage it? The size of each segment of the ring connotes the percentage of BI tool evaluators who evaluate/compare that specific product on TrustRadius. 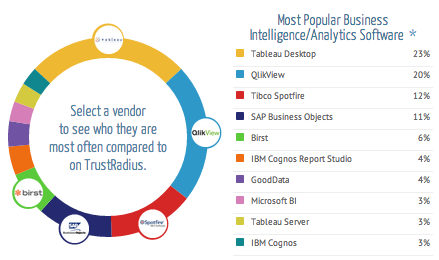 During Q4 2013, Tableau Desktop and QlikView were the most commonly evaluated solutions on TrustRadius, appearing in 23 percent and 20 percent respectively of the total page views (reads of their reviews and inclusions in side-by-side comparisons) within the Business Intelligence/Analytics category, followed by Tibco Spotfire and SAP Business Objects. However, just because those solutions are the most commonly evaluated, does not necessarily mean they are the right choice for your use case. 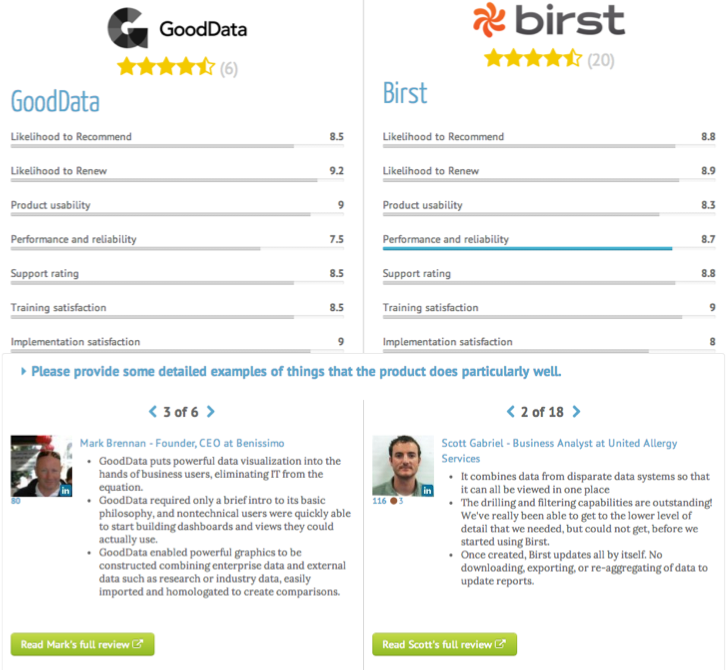 Of the cloud BI solutions, Birst is the most commonly evaluated, followed by GoodData. These two leading cloud solutions represented 10 percent of total page views in the Business Intelligence/Analytics category in Q4 2013 and we'll see most likely see this share continue to grow as Cloud BI solutions become more and more popular. As you zoom in on specific products that you feel may be a good fit, the Ring allows you to select a product, and quickly see which other solutions are most commonly compared. In the case of Tableau Desktop, the Ring shows that the most commonly compared solutions are QlikView and Tibco Spotfire indicating that if you're evaluating Tableau Desktop, those are the most likely candidates for inclusion on your short list. As you read the comparison and find view points that are of particular interest, you can click to read their full review. You can even connect with reviewers to ask more questions or talk offline. We know that researching software is time consuming and can be daunting. Let the Ring help you compare solutions and make the most informative purchasing decision.